The Holocaust Museum and Learning Center uses photographs and artifacts, many donated by Holocaust survivors who emigrated to St. Louis, to show a chronological history of the Holocaust. Visitors can take a self guided tour or have a museum docent, many of which are actual Holocaust survivors themselves, guide them through the museum while recounting their story. The museum depicts Jewish life in pre-WWII Europe, through the rise of Nazism, showing events during the Holocaust and then postwar events such as the Nuremberg Trials. 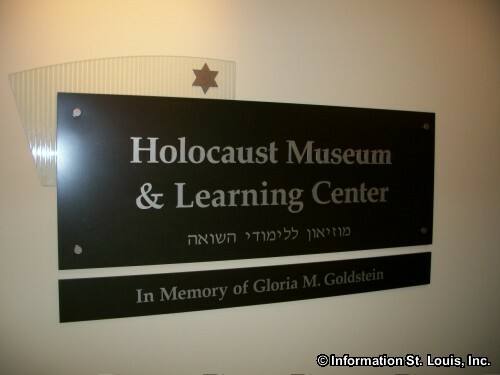 A special feature of the Museum is that it is also a learning center with a comprehensive video library and a oral-history library with over 150 recorded testimonies of Holocaust survivors. 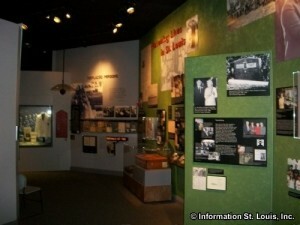 The Museum is open to the public and free of charge. Reservations are required for groups of 10 or more.